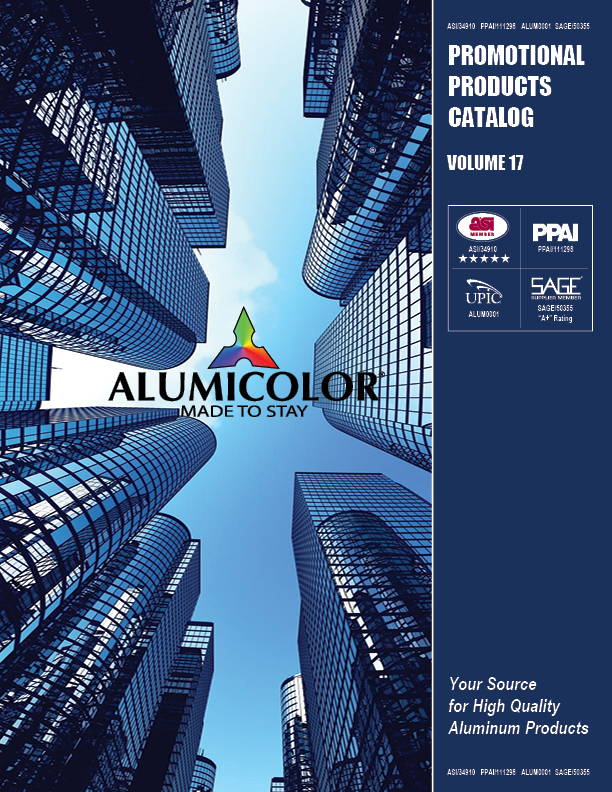 Alumicolor® products are all made from high quality aluminum and are sold in art and drafting stores. Alumicolor® rulers and scales are extruded aluminum with ultra smooth edges for drawing smooth, straight, clean lines. Alumicolor® calibrations are photo anodized, which makes them a permanent part of the aluminum and resistant to cleaning and rubbing off. Since there is no feel to the calibrations, you will not get "tick" marks when you are drawing. Most imprint orders will be imprinted at our factory using the photo anodized imprint process. Due to the nature of the Promotional Product industry it may be necessary to silk screen the imprint to meet event dates or a less than minimum order. See additional imprint information on our Imprint Information page. Alumicolor® products are made in El Salvador and distributed from the U.S.A.